The רב-סמל ראשון rav samal rishon (abbreviated "rasar", master sergeant) is a non-commissioned officer (נגדים) rank in the Israel Defense Forces (IDF). Because the IDF is an integrated force, they have a unique rank structure. IDF ranks are the same in all services (army, navy and air force). The ranks are derived from those of the paramilitary Haganah developed in the British Mandate of Palestine period to protect the Yishuv. This origin is reflected in the slightly-compacted IDF rank structure. The eighth enlisted grade, ranking above sergeant first class and below sergeant major, command sergeant major, Sergeant Major of the Army and equal in grade but not authority to a first sergeant. It is abbreviated as MSG and indicated by three chevrons above three inverted arcs, commonly referred to as "rockers". A master sergeant is typically assigned as a brigade-level section noncommissioned officer in charge and serves as the subject matter expert in his or her field, but may also hold other positions depending on the type of unit. The equivalent-grade first sergeant is the senior noncommissioned officer of a company, battery, or troop. The rank of master sergeant is usually held by staff members serving as NCOICs as well as commonly held by the motor pool NCOIC as the advisor to the motor pool chief, who is usually a warrant officer. When holding the position of first sergeant, while uncommon, the master sergeant is referred to as "first sergeant"; however, when not in the position of first sergeant, master sergeants are addressed as "sergeant". This is the standard address for all pay grades E-5 through E-8. Use of the term "top" or "master sergeant" is not a requirement, but is considered courteous and remains to be at the discretion of the one addressing the master sergeant. 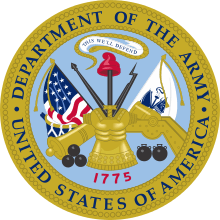 In 1920 the Army combined several regimental level "staff" NCO ranks, including four grades of sergeant major, three grades of quartermaster sergeant, regimental supply sergeant, senior ordnance sergeant, senior band sergeant, four grades of senior master sergeant, and seven additional master-level technical and specialist ranks into the new master sergeant rank. Master sergeant then became the senior enlisted rank, ranking above technical sergeant and first sergeant (a positional rank/title for the senior technical sergeant in a company/battery/troop), while "sergeant major" became a "courtesy title" for the senior master sergeant in a battalion/squadron or higher headquarters. 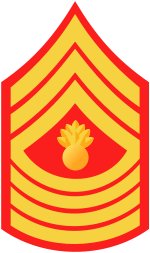 In 1942, the rank of first sergeant was elevated one grade and was then considered as a junior version of master sergeant, because while first sergeants served as senior NCOs at the company/battery/troop level, master sergeants held positions as the senior NCO in their MOS at battalion/squadron and higher level headquarters. In 1958, both first sergeant and master sergeant were elevated one grade to the new E-8 pay grade, while the rank of sergeant major was restored as the senior enlisted rank at the new pay grade of E-9. The eighth enlisted grade, ranking above gunnery sergeant and below master gunnery sergeant, sergeant major, and Sergeant Major of the Marine Corps. It is equal in grade to first sergeant, and is abbreviated MSgt. In the U.S. Marine Corps, master sergeants provide technical leadership as occupational specialists at the E-8 level. 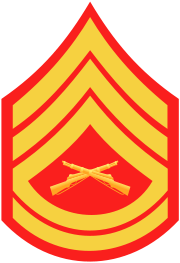 Most infantry master sergeants serve as the operations chief of a weapons company, in place of the gunnery sergeant found in the company headquarters of a rifle company. Infantry master sergeants also serve as the assistant operations chief in the S-3 section of the headquarters of an infantry regiment and Marine Expeditionary Unit and in the G-3 section of the headquarters of a Marine Expeditionary Brigade. The Marine division and Marine Expeditionary Force headquarters contains two infantry master sergeants, one as the training NCO and the other as the readiness chief. Some combat support battalions have master sergeants at the company level (e.g., one as the tank leader, again replacing the company gunnery sergeant, in the operations section of the tank company headquarters, and two in the company headquarters of an assault amphibian company, one master sergeant as the company gunnery sergeant in the headquarters section and the other as the section leader of the company headquarters AMTRAC Section). Most non-infantry master sergeants serve as section chief/NCOIC of their MOS type staff section in a battalion or higher level headquarters. General command leadership at this paygrade is provided by the separate rank of first sergeant. Only in the Marine Corps are master sergeants required to be addressed as "master sergeant". In the Marine Corps, master sergeants may be referred to by the nickname of "Top". This usage is an informal one, however, and would not be used in an official or formal setting. Use of this nickname by Marines of subordinate rank is at the rank holder's discretion. 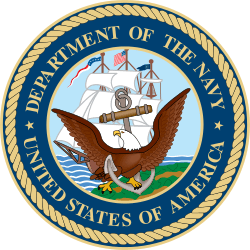 In the U.S. Armed Forces, all master sergeants (Army, Air Force, and Marine Corps) are senior non-commissioned officers (i.e., pay grades E-7 through E-9). 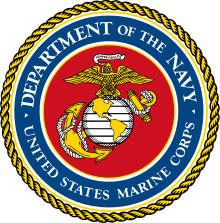 However, in the U.S. Marine Corps, the non-commissioned officer ranks of staff sergeant and above, are classified as Staff Non-Commissioned Officers (SNCOs), a classification that is unique in U.S. usage to the USMC. The seventh enlisted grade, ranking above technical sergeant and below senior master sergeant. 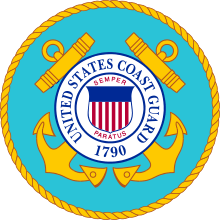 It is abbreviated as MSgt. Advancement to master sergeant is one of the most significant promotions within the enlisted Air Force. At the rank of master sergeant, the airman enters the senior non-commissioned tier and transitions his or her duties from front line technicians and supervisors to operational leaders. An operational leader develops his or her leadership and management skills since this rank carries increased broad leadership, supervisory, and managerial responsibilities rather than technical performance. Per Air Force Instruction 36-2618, master sergeants do serve in positions as squadron superintendents, flight chiefs, section chiefs, and Noncommissioned Officer in Charge (NCOIC). Compared to U.S. Army or U.S. Marine Corps organization, a squadron superintendent or flight chief, and their subordinate section chiefs, are approximately equivalent to platoon sergeants and section/squad leaders, respectively. Also, master sergeants are the lowest rank in the Air Force at which one can hold the special duty position and responsibilities of a first sergeant. 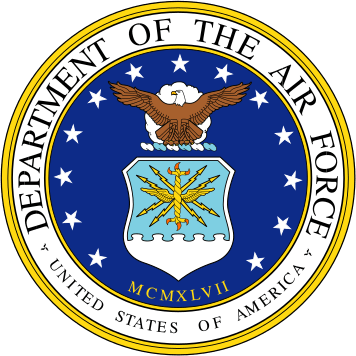 Air Force first sergeants occupy the pay grades of E-7 through E-9 and are referred to officially as "first sergeant" regardless of pay grade, and unofficially as "first shirt" or "shirt". 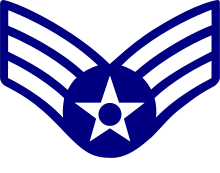 In 1991, the Air Force changed its NCO insignia so that a maximum of five stripes, or rockers, were placed on the bottom of the chevrons. 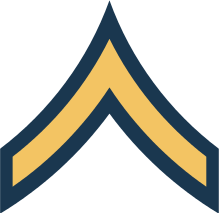 The master sergeant rank insignia was changed by removing the bottom (sixth) rocker, and relocating it above as a single chevron, on top of the five lower stripes. In 2015, the Air Force announced its promotion overhaul and newly established boards for master sergeant. In the Singapore Armed Forces, a master sergeant is a senior level specialist, ranking above staff sergeant and below third warrant officer. In the Singapore Army, master sergeants are usually instructors, staff specialists, or sergeant majors of battalion or company-sized units. In the Hellenic Army, master sergeant (Επιλοχίας) is the second rank of non-commissioned officer. The rank is above the staff sergeant (Λοχίας) and below the Chief Master Sergeant (Αρχιλοχίας). In the Vietnam People's Army, master sergeant (thượng sĩ) is the highest rank of non-commissioned officer.